World Cup organisers unveiled the 80,000-seat Lusail Stadium, which will host the 2022 final in Qatar. A gala ceremony in Doha on Saturday revealed the picturesque Lusail Stadium – the venue for the World Cup opener on November 21, 2022, as well as the tournament decider on December 18. The construction of the stadium – located 15kilometres north of Doha and the biggest proposed by the Supreme Committee for Delivery & Legacy (SC) – is scheduled to be completed in 2020. "It has now been eight years since we won the rights to host the 2022 FIFA World Cup and we told the world to expect amazing. With this stunning design of our showpiece stadium, I am proud today to once again be delivering on that promise," said SC Secretary General HE Hassan Al Thawadi. "Lusail is a city for the future, and once the World Cup is over it will – like each of our other seven stadiums – form a crucial part of the legacy of the tournament as it transforms to become the heart of a brand new community." "I am delighted to see Qatar's continued commitment to excellence in the spectacular Lusail Stadium," added FIFA Secretary General Fatma Samoura. 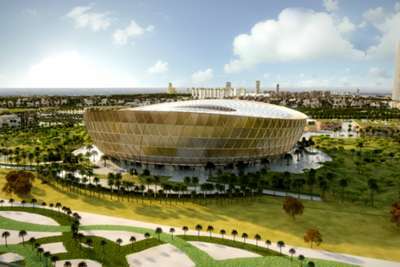 "Qatar's stadiums are among the most eye-catching ever seen and the venue proposed for the final is absolutely gorgeous. I particularly enjoy the fact that Middle East culture is reflected in Lusail's and several other designs and look forward to seeing football fans from all over world discover the culture and history of this region."